Curtis Fox: You're listening to an archival episode of the Poetry Magazine Podcast from December 2014. This episode was hosted by associate editor Lindsay Garbutt and Poetry magazine's editor Don Share.... For me, I draw a few curve lines slowly until I get the desired shape. Having an eye for shapes and proportions is critical to getting a perfect circle. To draw a circle provided we need to find either the radius or the diameter. 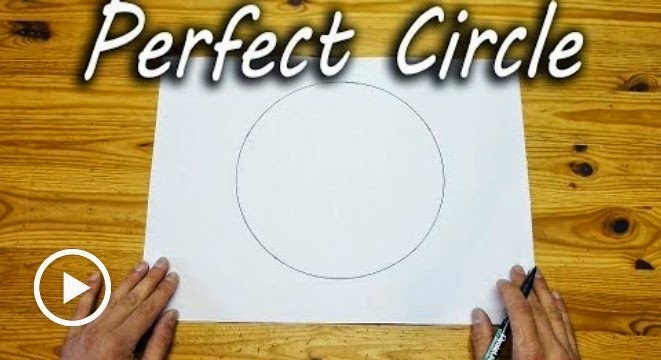 With the help of Compass & Rulers perfect circle can be drawn easily. Curtis Fox: You're listening to an archival episode of the Poetry Magazine Podcast from December 2014. This episode was hosted by associate editor Lindsay Garbutt and Poetry magazine's editor Don Share. For me, I draw a few curve lines slowly until I get the desired shape. Having an eye for shapes and proportions is critical to getting a perfect circle.